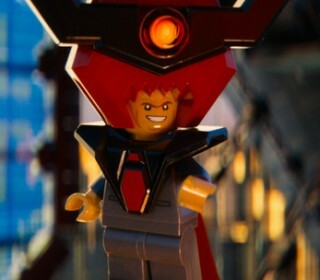 I can’t say I was looking forward to The LEGO Movie. Much like Transformers or G.I. Joe: The Rise of Cobra (or their sequels), the whole idea seemed like nothing more than an extended commercial solely engineered to sell millions of dollars in toys and nothing else. As creative (especially visually) as this might prove to be the chances a story could be assembled that would be interesting or worthwhile seemed, at least on the surface, highly unlikely, and as such my interest level to see it was close to nonexistent. It’s great to be proven wrong. Directors Phil Lord and Christopher Miller, the devious, idiosyncratic minds behind Cloudy with a Chance of Meatballs and 21 Jump Street, working with brothers Dan and Kevin Hageman (Hotel Transylvania), have crafted a scenario that’s almost Toy Story-like as far as levels of imaginative inspiration are concerned. 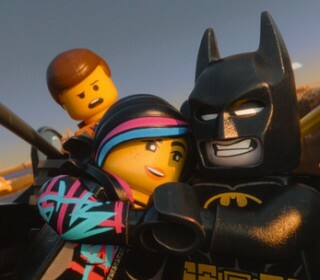 Not only is the movie a visual treat (no real surprise there), it’s the story that astonishes, the narrative a wonderful parable of living life, reaching for one’s dreams, crafting friendships and finding the hero within viewers of every stripe can relate to and embrace. Trying to summarize the plot is an exercise in loopy futility. The basics? 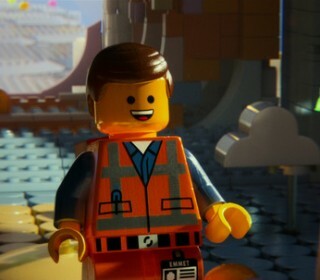 Construction Worker Emmet (voiced by Chris Pratt) is mistaken by Master Builder Wyldstyle (Elizabeth Banks) as “The Special,” a heroic figure who would rise from nowhere to lead the forces of rebellion against the evil designs of Lord Business (Will Ferrell) and his trusted enforcer Good Cop/Bad Cop (Liam Neeson). 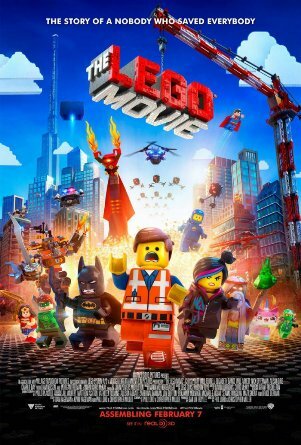 Aided by the likes of the wise mystic Vitruvius (Morgan Freeman), pirate Metal Beard (Nick Offerman), 1980’s Spaceman Benny (Charlie Day), cute-as-a-button UniKitty (Alison Brie) and DC superhero Batman (Will Arnett), Emmet will have to find that inner thing that sets him apart from the crowd making him the type of leader this eclectic band of Master Builders would be excited to follow. The movie is both far simpler than that brief description alludes to as well as a heck of a lot more convoluted than you’d initially suspect, the narrative a deeply eccentric hodgepodge of classic heroic tropes owing a heck of a lot to Greek Mythology as well as to cinematic convention. Lord and Miller do a stupendous job of making each character unique, developing them in ways that are equal parts comforting and surprising, each in equal measure. It’s a lot of fun, the whole thing a feast for the eyes that remembers to keep the brain stimulated at the exact same time. All of which makes the film good, but not really a lot more than that. As funny as the jokes are, as phenomenal as the animation itself proves to be, the story isn’t exactly earthshattering, so figuring out what is going to happen when isn’t rocket science. It all follows a rather tried and true through line, and from start to finish there aren’t a ton of surprises lurking anywhere inside its nooks, crannies and three-dimensional interlocking block particulars. Save one, and it’s magnificent, instantly transporting the movie from the realm of the very good into the mesa of the breathtaking. 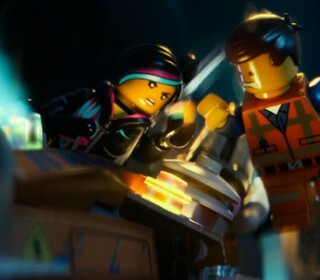 There is a shift in gears, in P.O.V., that is stunningly inspired, the themes Lord and Miller are exploring crystalizing brilliantly into ways that make them even more hard-hitting and inspiring than they otherwise would have been. While the whiz-bang aspects still exist, while the eccentricities of the character-driven anything-goes humor remains, there is something touchingly intimate about this sudden change of direction that caught me entirely off guard. Why am I not going too in-depth into any of this? Because what happens is so astonishing, so wonderfully unexpected, I’d rather not ruin the potential surprises. What I’ll say is more in line with what I’ve already stated, the script coming into such tightly refined focus it hits universally home in many of the same ways Toy Story, The Iron Giant and The Incredibles do and while I’m not ready to proclaim this an instant classic in the same league as those timeless favorites I wouldn’t be pushing it very much to say it might be a part of the conversation relatively quickly. If nothing else, this proves without a shadow of a doubt Phil Lord and Christopher Miller are here to stay, and if I had any worries this summer’s 22 Jump Street wouldn’t be as strong as its predecessor the pair’s work bringing this to life eases those doubts quite a bit. This directorial team is without a doubt a strong one, willing to push boundaries and do things lesser filmmakers might be wary of attempting. More than that, they have an innate ability to make films and craft comedies for viewers of every age, treating the entire audience with respect and admiration instead of playing to the lowest common denominator. 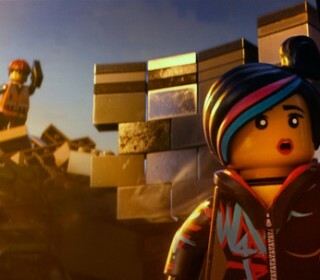 Does any of this mean The LEGO Movie isn’t a feature-length commercial for the iconic building blocks that have pleased and inspired children and adults alike for generations? No, not really, the film not really hiding the fact it’s making a sales pitch to those sitting in the audience. 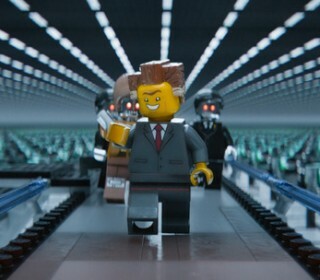 Be that as it may Lord and Miller still manage to craft an actual story and scenario full of delights easy to revel in, my imagination still doing mental backflips as I ponder all of its melodiously interlocking structural and comedic peculiarities.